Discover some new ideas to the traditional Easter egg dyeing and create memories for years to come! Dyeing Easter eggs is one of my favorite things to do with younger kids before Easter. I’ve seen so many cute and creative ways of preparing festive colored eggs that while I set up a table for the cousins, I like to prepare my mine as well. What I like about the traditional egg dyeing for Easter is that there are tons of different ways to do it and adapt old favorites. 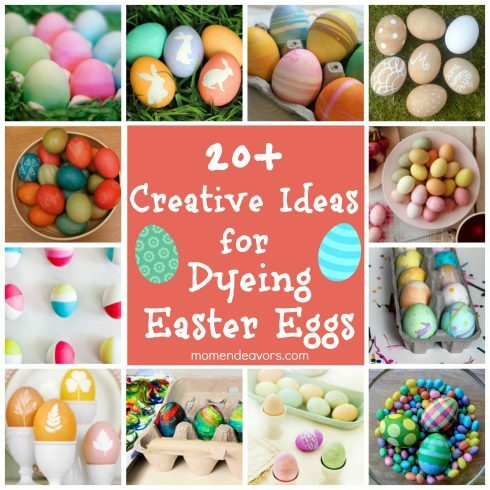 Celebrate the holiday and have fun dyeing some Easter eggs and learning new tricks.